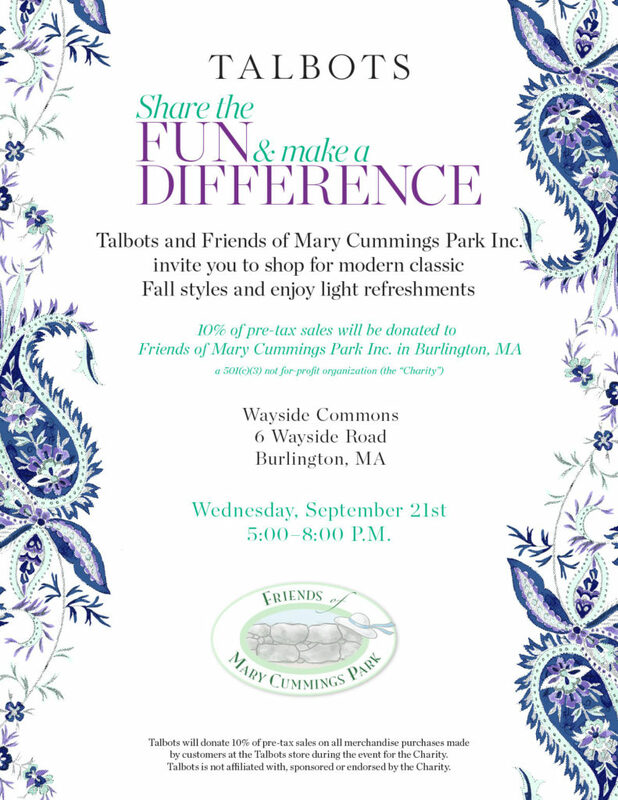 Talbots Fund Raiser for Mary Cummings Park! 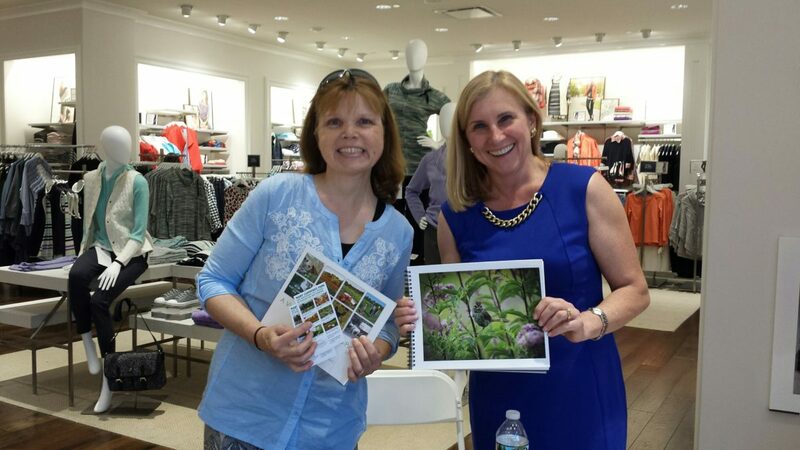 There was a fund raising event at Talbots in Burlington on September 21st. 10% of pre-tax sales was donated to The Friends of Mary Cummings Park. This much-needed money will help us continue to supply free trail maps and upgrade the trail signs. Cynthia John, Joan Kennedy-Constant and Ed Loturco were on hand to greet shoppers and tell the story of Mary Cummings Park. We THANK Talbots for organizing this event.